After Englishman John Blackthorne is lost at sea, he awakens in a place few Europeans know of and even fewer have seen—Nippon. Thrust into the closed society that is seventeenth-century Japan, a land where the line between life and death is razor-thin, Blackthorne must negotiate not only a foreign people, with unknown customs and language, but also his own definitions of morality, truth, and freedom. As internal political strife and a clash of cultures lead to seemingly inevitable conflict, Blackthorne’s loyalty and strength of character are tested by both passion and loss, and he is torn between two worlds that will each be forever changed. 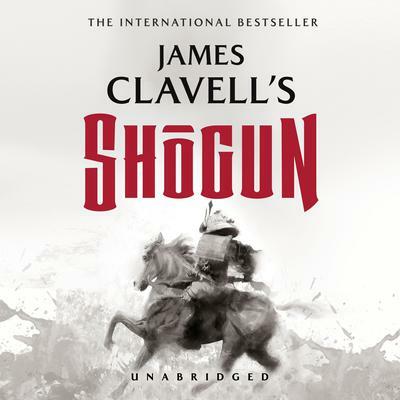 Powerful and engrossing, capturing both the rich pageantry and stark realities of life in feudal Japan, Shōgun is a critically acclaimed powerhouse of a book. Heart-stopping, edge-of-your-seat action melds seamlessly with intricate historical detail and raw human emotion. Endlessly compelling, this sweeping saga captivated the world to become not only one of the bestselling novels of all time but also one of the highest-rated television miniseries, as well as inspiring a nationwide surge of interest in the culture of Japan. Shakespearean in both scope and depth, Shōgun is, as the New York Times put it, “…not only something you read—you live it.” Provocative, absorbing, and endlessly fascinating, there is only one: Shōgun. After Englishman John Blackthorne is lost at sea, he awakens in a place few Europeans know of and even fewer have seen—Nippon. Thrust into the closed society that is seventeenth-century Japan, a land where the line between life and death is razor-thin, Blackthorne must negotiate not only a foreign people, with unknown customs and language, but also his own definitions of morality, truth, and freedom. As internal political strife and a clash of cultures lead to seemingly inevitable conflict, Blackthorne’s loyalty and strength of character are tested by both passion and loss, and he is torn between two worlds that will each be forever changed. In this massive novel we are given a view of a beautiful but deadly time in Japanese history. This novel has a little bit of everything; love, war, vengeance, friendship, and betrayal. James Clavell gives us characters that have so much depth, one can truly get lost in the story. Ralph Lister brings this novel to a whole new level. His narration brings each character to life, giving each one their own distinctive voice. He moves from character to character with grace, never missing a beat. His ability to switch from dialect to dialect is outstanding. I can’t praise his characterizations enough. Together Clavell and Lister make a wonderful team, making you feel sad when the story ends.